Dubai, UAE, October 16, 2018: BOLLYWOOD PARKS™ Dubai, the premier Bollywood theme park at Dubai Parks and Resorts, the largest integrated theme park destination in the region, has launched a brand-new line-up of entertainment filled with exuberant music, songs and dance starting 15 October. 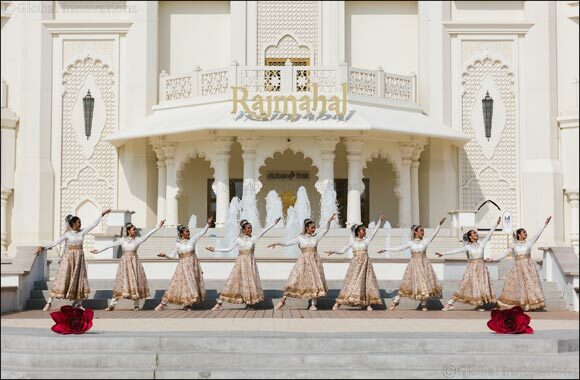 Guests can immerse themselves in the vibrant sights, sounds and colours of India through 11 new live street entertainment shows held in the park throughout the day, including folk dances, cultural performances and Bollywood-themed acts. All these shows will be included in the ticket price, making it the ideal family day out. As guests walk into the park they will be greeted with an enthusiastic and high-energy performance ‘Jashan E Welcome' showcasing the diverse music and culture of India. At the ‘University in Diversity' at Bollywood Boulevard, guests can tap their feet to performances that span the length and breadth of India, including Chhau, Kathakali, Bhangra and Garba. Not to leave fans of Bollywood disappointed, ‘Desi Pardesi' at the Crossroads will showcase a fusion of Western and Bollywood-themed music and cultural performances, and ‘Dhinchak Bollywood (Antakshari)' at Mumbai Express will showcase this ever-popular game played during travel with a vibrant track list from the 60's through to 2010. The show will also encourage audience interaction. ‘South Ka Tadka' at Rangmanch will pay tribute to the hugely popular movies and music of South India, while ‘Mehfil E Adaa' at Rangmanch will pay tribute to women in Bollywood and showcase the elegance and ethnicity of traditional dance forms including Kathak. ‘Kalbeliya Folk Dance' at the Lotus Court will showcase Rajasthani Folk Dance with singing and music to bring the entire performance to life. Additional acts include a flute artist, a rustic Indian street circus with a rope walk duo and a magician that will add to the fun and entertainment. Finally, to celebrate this great medley of performances, ‘Parade' at the Bollywood Boulevard will feature all the different troupes coming together in a grand party of music and dance, leaving guests with a high dose of culture and colours of India and Bollywood.